The Easy Rider speed bump is designed to reduce traffic speed to 2-5 miles per hour. Made out of 100% recycled tires. 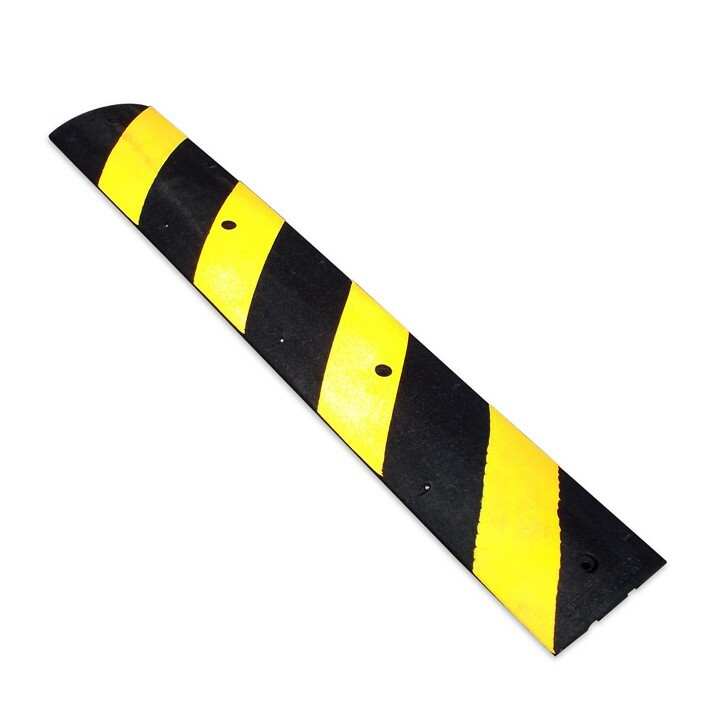 Easy to install on any road surface and is removable. Will not warp, crack, chip or rot. Enhanced with reflective, yellow stripes. Base is channeled to allow for drainage and to conceal cables.